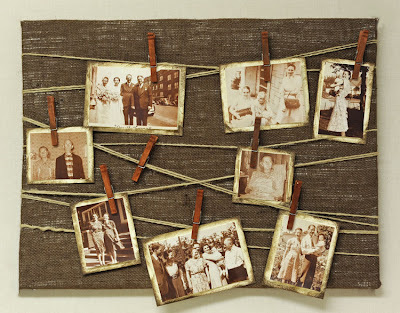 It's like you can make almost anything using canvas because before the whole do-it-yourself concept became popular, one would have to buy a memory board like this. Now, you can simply make one and we promise it won't put a dent in your wallet...unless you dip it into 24k gold and decorate it with diamonds. For this project, Pershette used an 18 x 24 canvas, but feel free to use a size you desire. In doing so, you will need to adjust the amount of burlap you will need. 1. 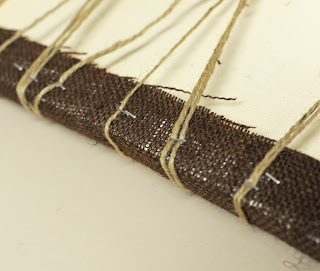 Place the burlap evenly over the canvas. 2. 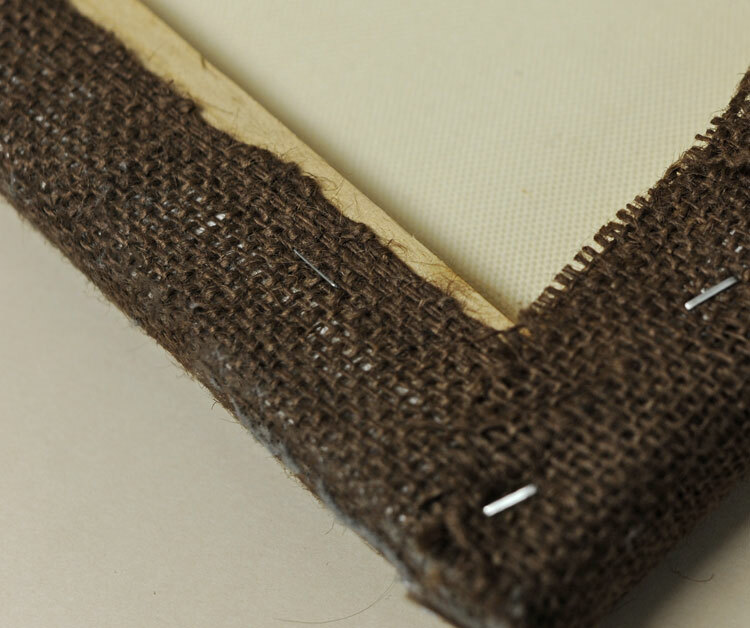 Turn the canvas over and staple the burlap into the frame of the canvas. Pull the burlap taught to smooth out any wrinkles or ripples out of the burlap before stapling and fold in the corners. 3. 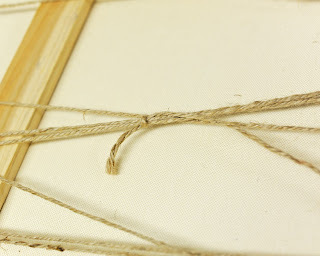 Still looking at the back of the canvas, take twine and tie it to the top part of the frame. Do not pre-cut the twine. Leave it on the spool and unravel the amount you need as you go. 4. 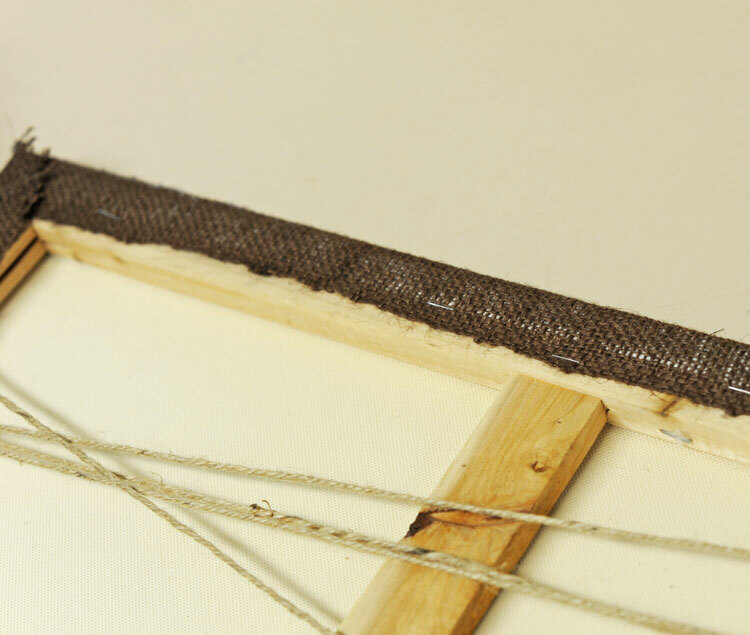 Wrap the twine around the entire canvas multiple times and be sure to pull it taught so that the twine is not drooping in any areas. Remember, you will be hanging clothespins off the twine and if the twine is not pulled taught, the weight of the clothespin and photo will cause it to droop. 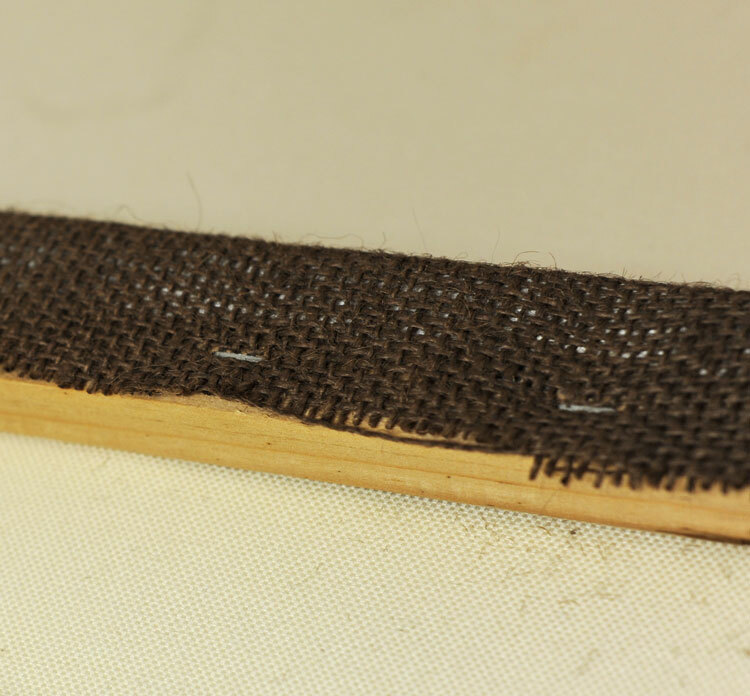 Also, leave an open space at the back of the top part of the canvas so that you will be able to hang it. Leave room at the top for nails. 5. After you finish wrapping the twine around the canvas, cut the twine and tie it to itself. Tie the end to another part of the twine. 6. Staple the twine to the frame of the canvas. This will add more security to prevent drooping. 7. Attach photos to the clothespins and hang them onto the twine. 8. Proudly display in an area of your home. The clothespins we used for this project were already stained. If you want to stain your clothespins, you can use DecoArt Stains or Ranger Distress Ink. 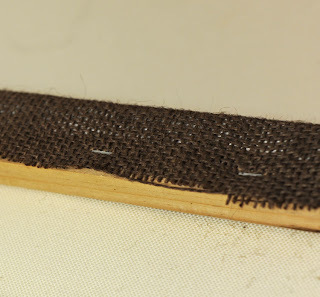 Staining is just one option, painting, embellishing, and using washi tape are other options for your clothespins. 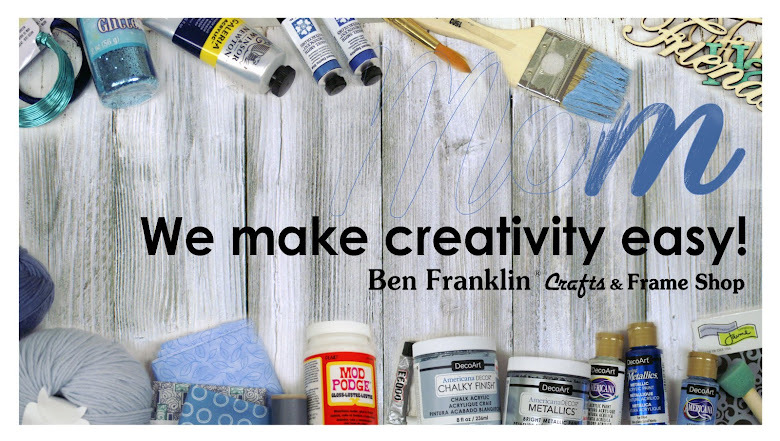 Don't forget that we have our Canvas Make & Take every Saturday in February from 11:00 a.m. to 3:00 p.m. Click here for more details. Thank you! We're glad you like it!